YarnCon is Chicago’s homegrown yarn-centric exhibition — a place to promote, sell, and celebrate the yarny arts. 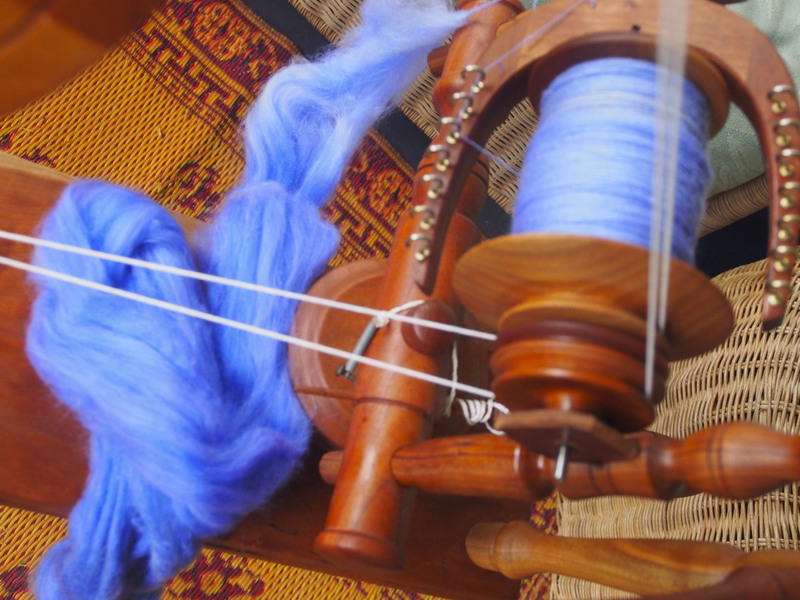 Started in 2007, YarnCon aims to be the premier market for independent producers of yarn, knitted/crocheted objects, fiber for spinning, tools, gadgets, books, patterns, instructions, and gifts related to spinning, knitting, crochet, and weaving. This was my 4th year attending, it started in a beautiful Park District building, which they outgrew, and now is in The Plumbers’s Union Hall, another neat old building. 2 of my fellow SnB knitters were trying booths there for the first time, so it was good to see them. And, I ran into lots of knitting buddies. Jayson and I trolled the venue first, then I went back and made only a couple of very discrete purchases. 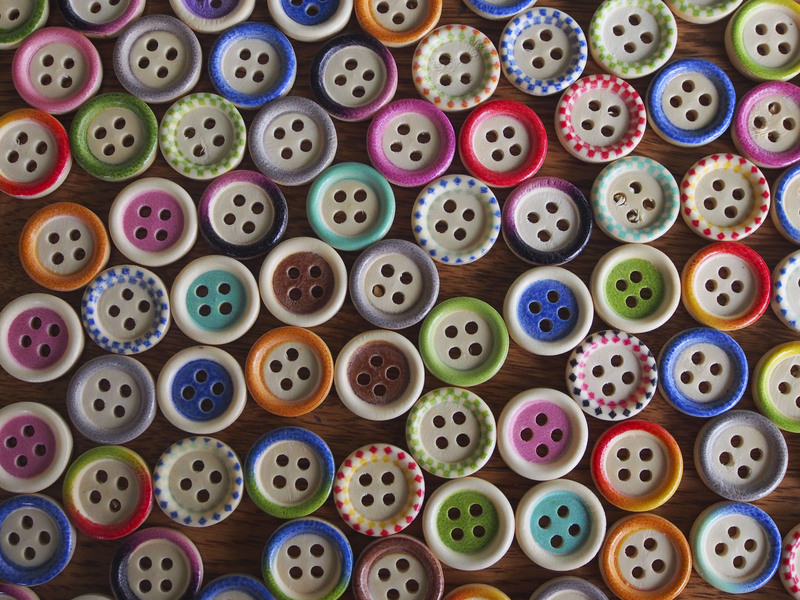 My first was these buttons, 100 for $9, they will be perfect for baby sweaters. That is a lot of sweaters! 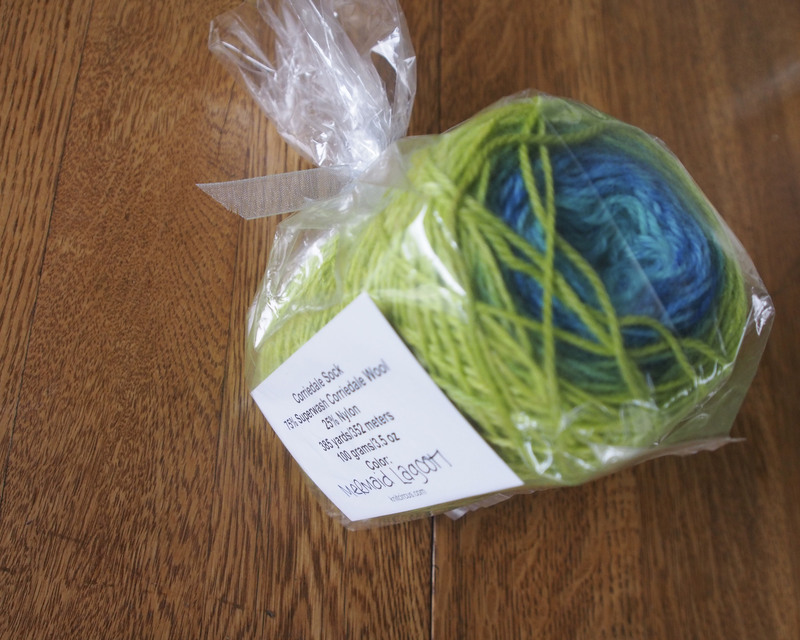 And my only other purchase was also sock yarn. 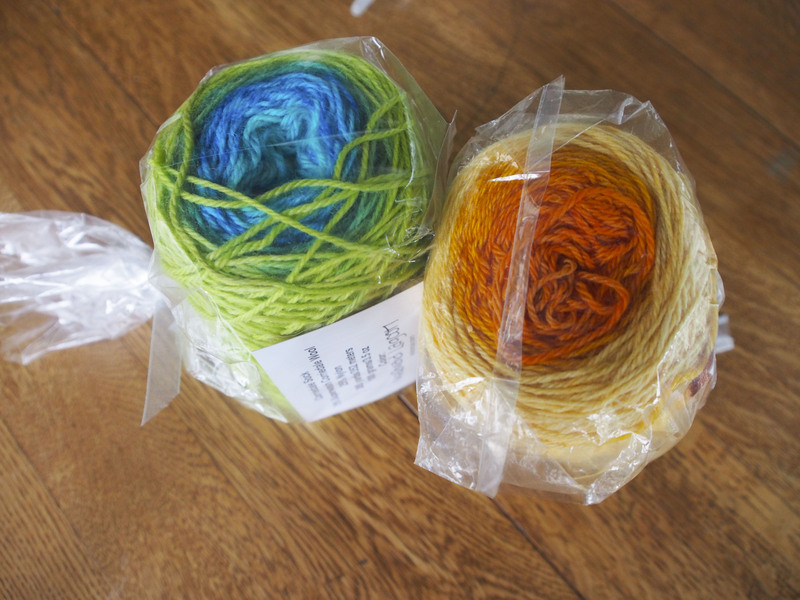 Since these were all Indy dyers, the yarn was mostly sock and shawl weight. Not that I am in the sweater buying mode anytime soon anyways. 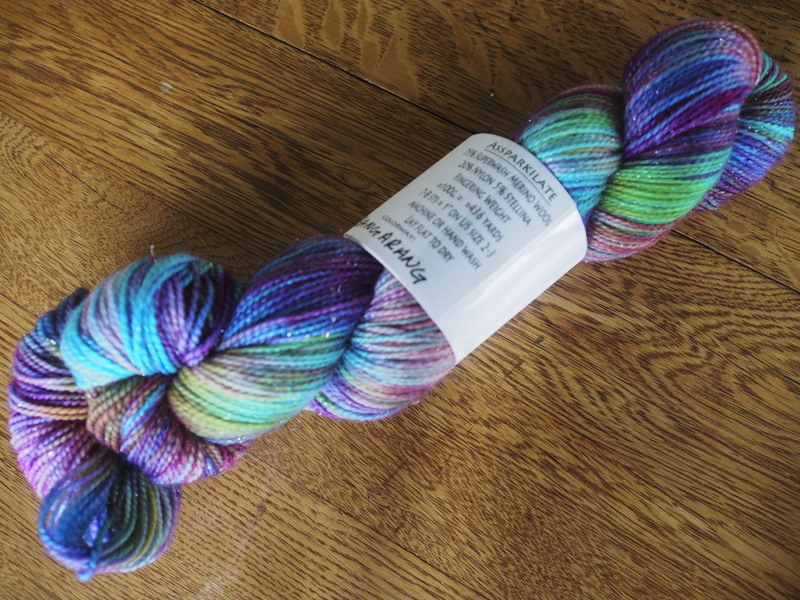 My friend Andi always says that sock yarn doesn’t really count anyways. This is fromThe Cyborg’s Craft Room, color way is Bangarang, love the sparkles in this. Reserved for me! And I took great advantage of the beautiful weather over the weekend to spin on the front porch. This fiber had been on my wheel way too long, it is a gradient from Fiber Optic, Wild Thyme. Plying it now.